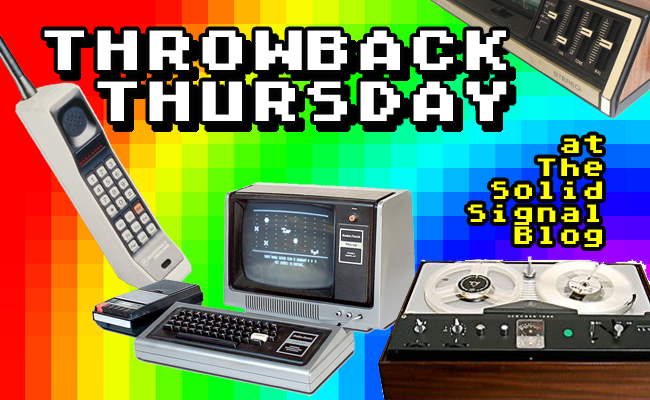 In this week’s Throwback Thursday, we look at Gmail. Not Google’s email, which has been with us since about 2003. I’m talking about Garfield mail. 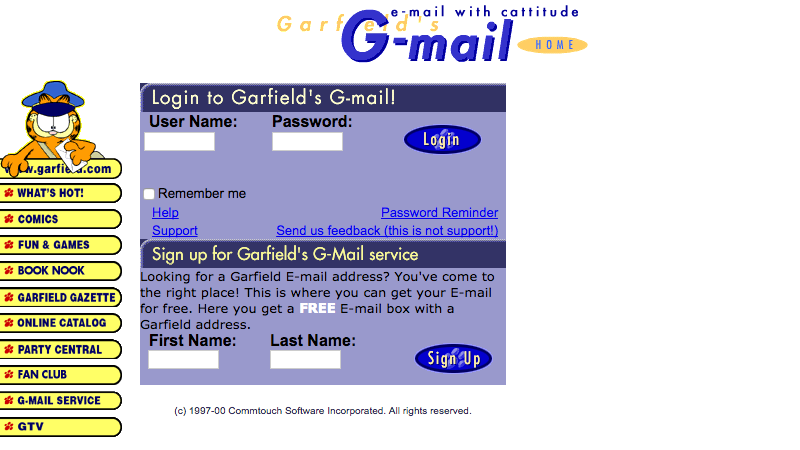 According to this article at Gizmodo, Garfield email started sometime about 1997 and gave you access to not only an exclusive email at “catsrule.garfield.com” but also exclusive content on the garfield.com site. This is a perfect example, if you ask me, of the fact that until the mid-2000s we really didn’t have any idea what to do with the internet. E-commerce itself didn’t really start to get hot until then, and really while there were search engines before Google obviously they weren’t anywhere near as good. So, we literally went to books to find out what web sites to visit and since most of us had internet connections but nothing productive to use them for, naturally sites like this took advantage of our desire to waste time. If you’re still into wasting time, check out the original g-mail site at archive.org, where pretty much every embarrassing web site eventually goes to die.